Have fun and take your time. The room won't be finished or perfect in a day! I'm still working finding the perfect letter "P" to go above her bed. 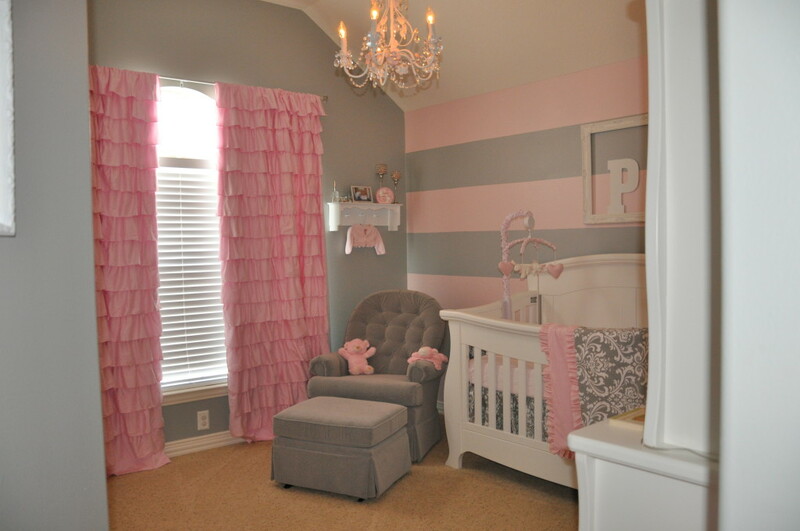 Light pink and gray are just the perfect colors if you want to combine feminine and soothing. Can you tell me what the paint colors are and where you purchased them? Beautiful! I'm a working mom so it took me a while to finish this nursery... but I LOVE it!